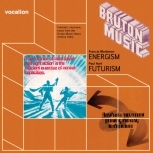 Keyboardist-composer Francis Monkman’s Energism is one of the most extraordinary albums in the Bruton Music library. Featuring an exciting blend of conventional rhythm section – Barry de Souza (drums), Mo Foster (bass guitar) and Tristan Fry (percussion) – with synthesizers programmed and played by Monkman, it ranks alongside the work of such electronic music pioneers as Vangelis, Tomita, and Tangerine Dream. By 1978, when Energism was recorded, Monkman was already well established in both classical and rock music circles. He was a founder member of early ’70s prog-rock groups Sisyphus and Curved Air and in 1979 formed part of the original line-up of guitarist John Williams all-conquering classical-rock band, SKY. 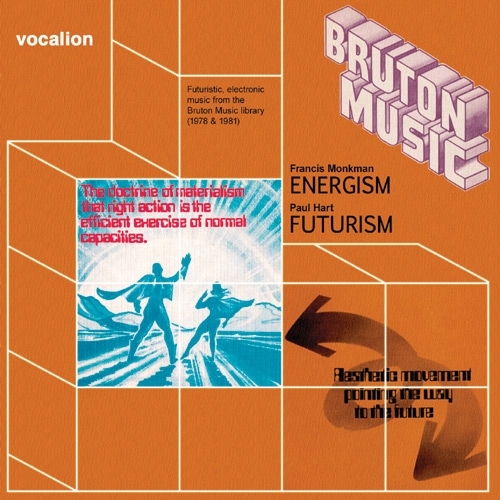 Energism also proved to be one of Bruton’s most successful albums, its music used extensively in films and documentaries and on television and radio. It’s remarkable to think that the futuristic grooves of tracks such as The Achievements of Man, The Dawn of an Era and The Ascent of Man were recorded in the late 1970s; they reveal Monkman as one of the era’s unsung electronic music innovators. 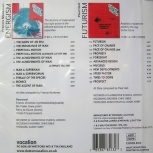 The other album in this collection, 1981’s Futurism, is another characteristically superb Bruton Music album that also focuses on the mix of synthesizers with a conventional rhythm section. Multi-instrumentalist Paul Hart, who rose to prominence in his early twenties as a member of John Dankworth’s various ensembles, was behind Futurism’s remarkable music, and he soon became one of the Bruton library’s most prolific composers. 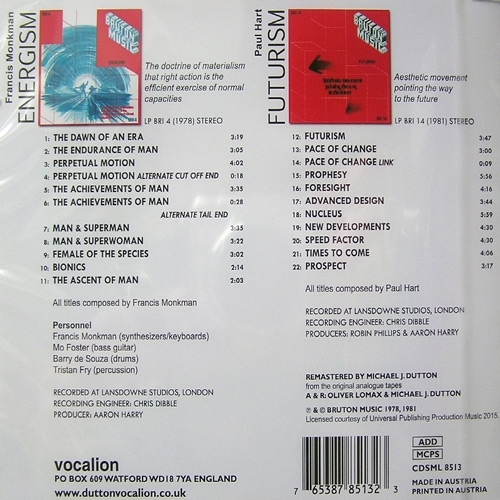 Both Energism and Futurism represent the cutting edge of electronic music as it was in the late 1970s and early ’80s and are a testament to Bruton Music’s boldly progressive outlook. Includes an 8-page booklet detailing the history of Bruton Music as well as biographical information and the stories behind the albums.